Endometriosis affects more than 10% of childbearing-aged women making it difficult for them to get pregnant. If heavy periods and chronic pelvic pain are interfering with your life, call or make an appointment online today with Dr. Roya Rakhshani at OriGYN in Costa Mesa, California, to determine if you have endometriosis and to begin treatment. Endometriosis is a condition in which tissue that lines your uterus grows in your ovaries, fallopian tubes, and the lining of your pelvis. This displaced tissue continues to act as it normally would, thickening, breaking down, and bleeding with your menstrual cycle. Since the displaced tissue has no way out of your body, it gets trapped. Surrounding tissue gets irritated, causing scars and abnormal bands of fibrous tissue that cause pelvic tissues and organs to stick to one another. Diagnosis starts with a physical and pelvic exam at which time Dr.Rakhshani feels for cysts or scars behind your uterus. Imaging tests, including an ultrasound and magnetic resonance imaging (MRI), take pictures of the inside of your body. To be certain you have endometriosis, Dr. Rakhshani performs a minimally invasive robotic laparoscopy to look inside your pelvic area for endometriosis tissue. Diagnosis is done by sight, or a small sample of tissue gets studied under a microscope. Treatment for your endometriosis depends on the extent of the disease, your symptoms, and your desire to have children. Most of the time, endometriosis gets treated with medication, surgery, or both. Hormones help slow the growth of endometrial tissue and keep new adhesions from forming. However, they do not get rid of the endometriosis tissue you already have. Surgery helps relieve pain and improve fertility. If your pain continues to be severe and does not go away after treatment, a hysterectomy is a "last resort" option as endometriosis is less likely to return if you remove your ovaries. 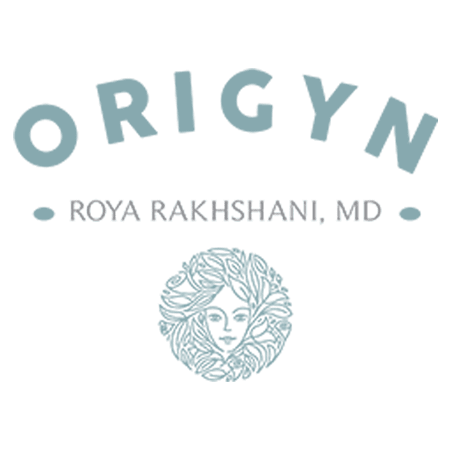 Although there is no cure for endometriosis, to begin symptom-relieving treatment, call or make an appointment online today with Dr. Roya Rakhshani at OriGyn in Costa Mesa, California.